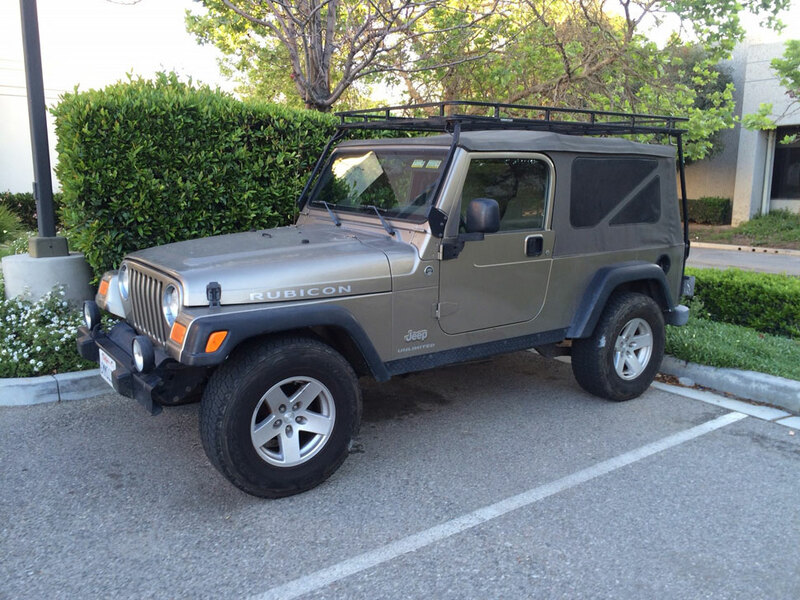 This is Andrew's (here in the sales dept) 2006 Jeep Wrangler TJ UNLIMITED RUBICON. 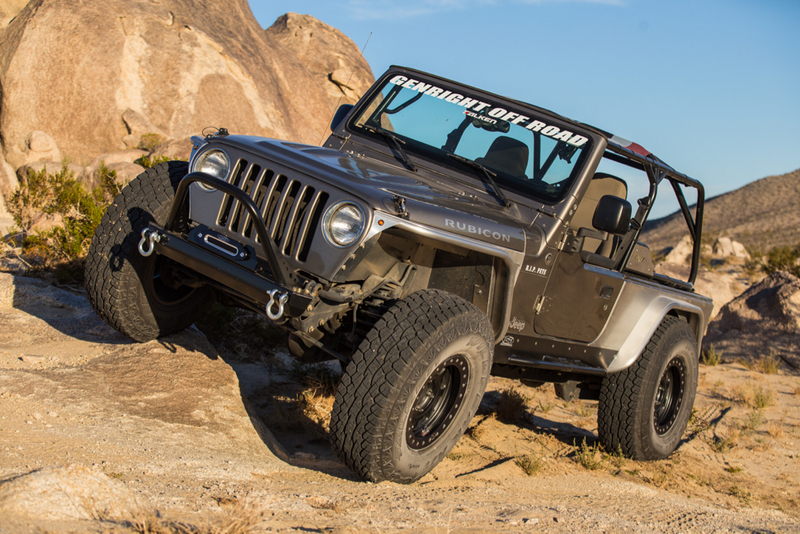 It has the 4.0L 6 cylinder engine, 6 SPEED manual transmission, Rubicon 4:1 T-case and Rubicon Dana 44 axles. 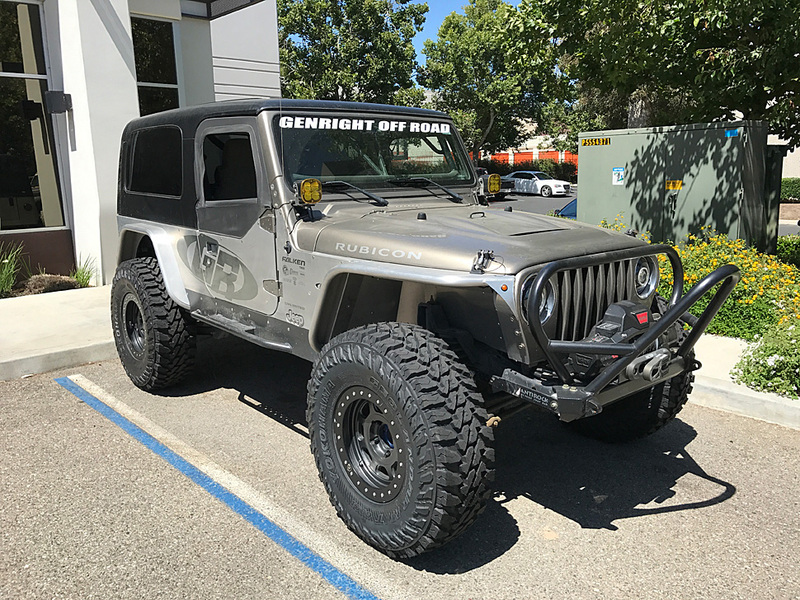 He built is to be his daily driver with all GenRight aluminum armor. 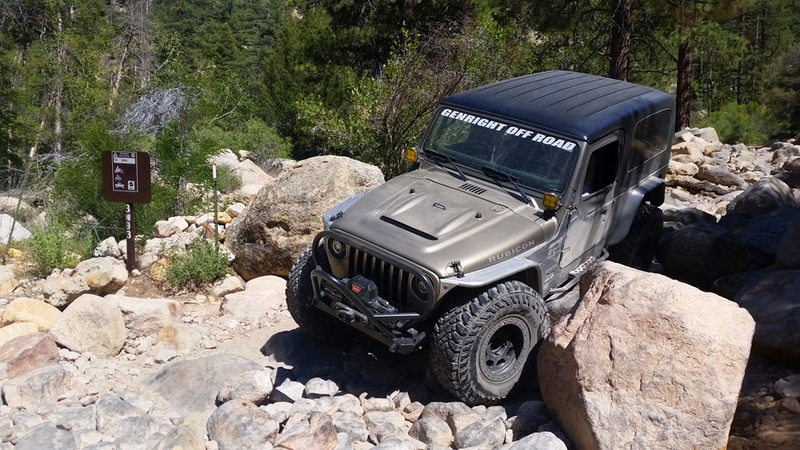 Currently on 37" Yokohama MT's, Trail Ready Beadlock Wheels, Warn Zeon winch with Factor 55 flat link, Baja Designs lights, Currie Anti-rok from sway bar and more. See detail specs below. 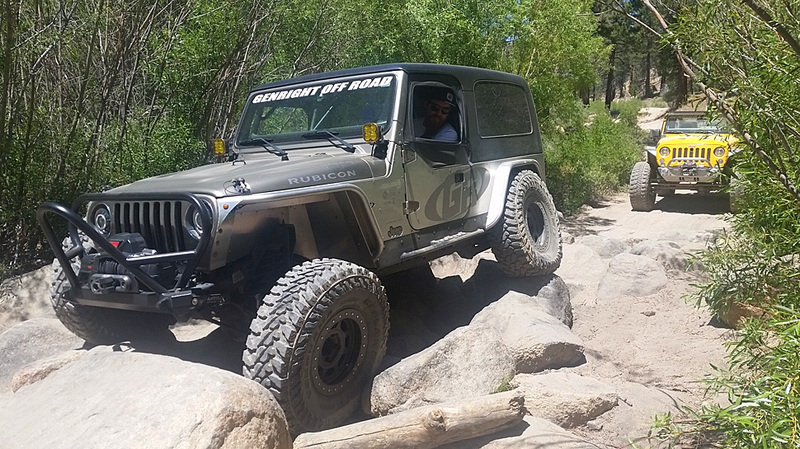 Wheeling on the trails on Big Bear, June of 2017. 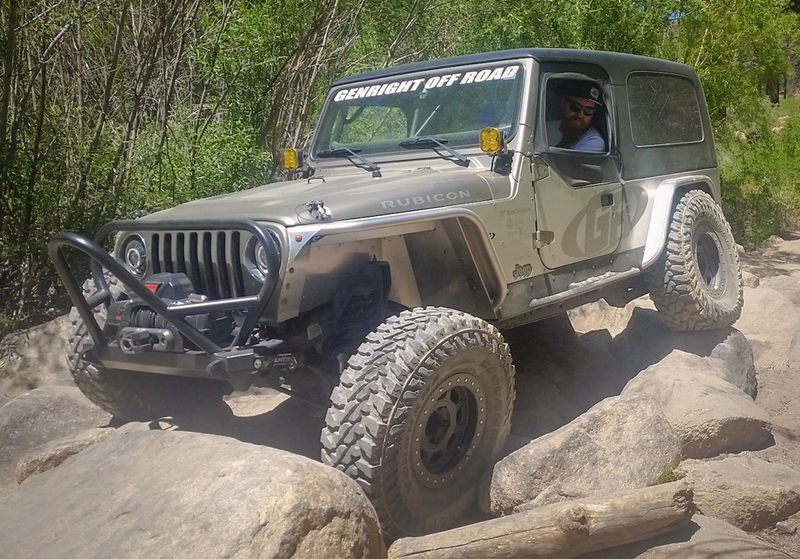 Above; Nice ride height on 37's with GenRight Hi-Fenders. 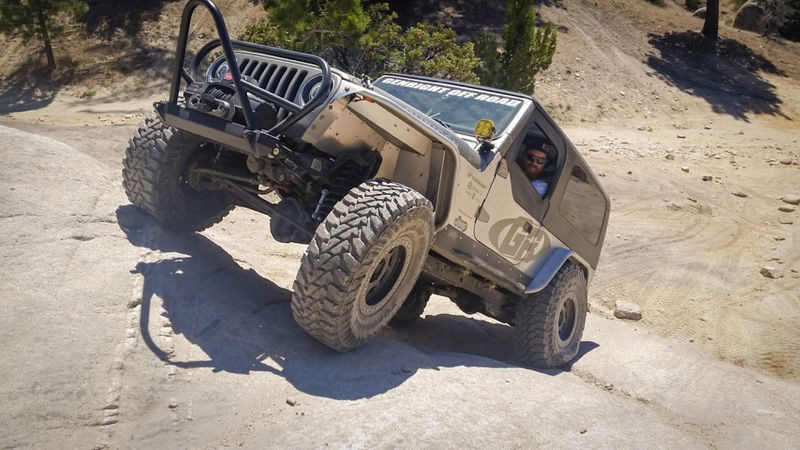 Above; The flat belly makes this Low CG Jeep very capable off-road. 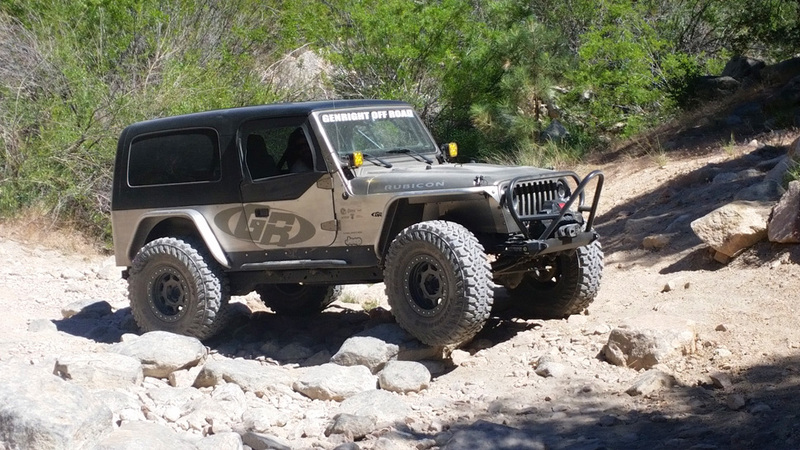 Above; Johnson Valley shortly after the Jeep was built. 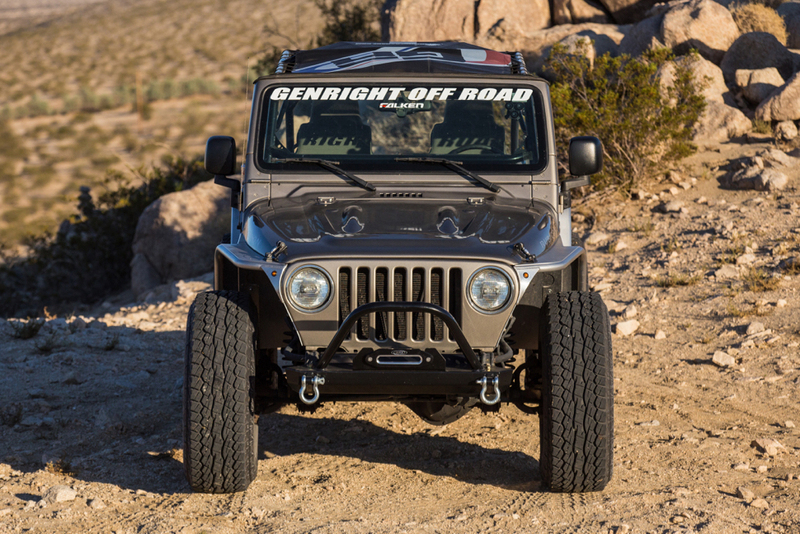 Above; Great view of the hood and GenRight Hi-Fenders. Above; This is what the Jeep looked when Andrew bought it.